Click & drag in the image above, follow the arrows, full-screen icon at the top-right corner, zoom in & out with your mouse. 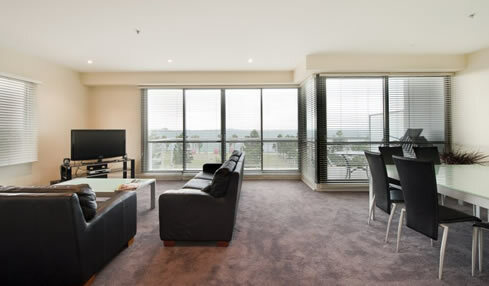 Whether you are travelling for business or pleasure The Waterfront Apartments Geelong offer affordable and comfortable holiday or corporate-stay accommodation on the shores of Corio Bay within the Geelong CBD. We are conveniently located beside The Novotel Hotel on the Waterfront at the corner of Eastern Beach Road & Yarra St Geelong. Our apartments feature quality fixtures and fittings. offering 1 and 2 bedrooms, accommodating 1-6 people with a minimum stay of 2 nights. Choose between 5 beautifully designed apartment styles located on the magnificent Geelong Waterfront or from the 4 delightful townhouse styles in the bustling Geelong CBD fringe close to the Waterfront. Our 2 Swanston St townhouses accommodating 6 or 8 guests are often utilised separately or together for extended families, groups of friends, corporate and club events or stays in the Geelong city area. Let us help make your stay in Geelong one to remember. Call us for questions, or recommendations on which apartments best suit your needs. The friendly local team of staff will ensure your hassle free accommodation requirements. 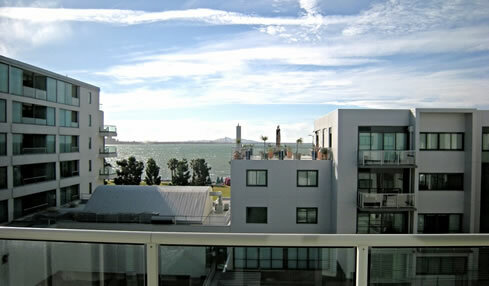 The Waterfront Apartments Geelong offer the guest 4 different apartment categories to choose from. For photos and apartment-specific information on each type of apartment please click on the links below. 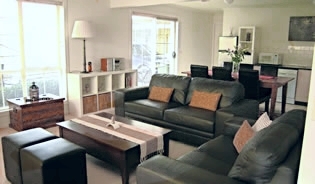 Apartment style suitable for up-to 2 adults. Apartment style suitable for up-to 3 guests. Apartment style suitable for up-to 5 guests. Located within walking distance to the Geelong CBD and amenities, this accommodation option is great for larger groups wishing to stay together. We will contact you shortly to regarding your enquiry. or Phone Booking & Questions? If you would like to book one of our beautiful apartments, please use the form. Once we receive your Booking Enquiry, we will promptly contact you to confirm availability and secure an Apartment. For long term stays (1+ week) or Corporate enquiries please call us for Corporate rates & information.